The Kingdom of Elymais was a semi-independent state of the 2nd century BC to the early 3rd century AD, frequently a vassal under Parthian control, and located at the head of the Persian Gulf in the present-day region of Khuzestan, Iran. It is reported that these people were great archers and natives of Susa, which lay to the east of Elymais territory. Most of the Elymais were probably descendants of the ancient Elamites, who once had control of that area in the past. 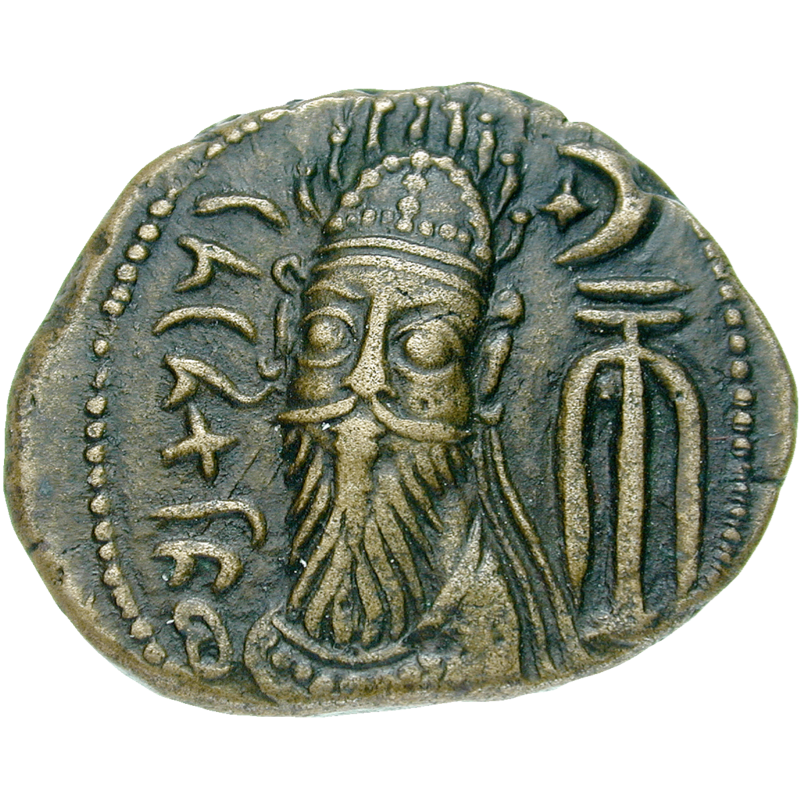 The coins of Elymais depict a king; it is not known whether this was a Parthian king or a local ruler. They were based on Greek standards of debased Drachms and Tetradrachms. The reverse has a figure or bust of Artemis with text around it, an eagle, or often only elongated dots. The Kingdom of Elymais survived until its extinction by a Sassanid invasion in the early 3rd century AD.